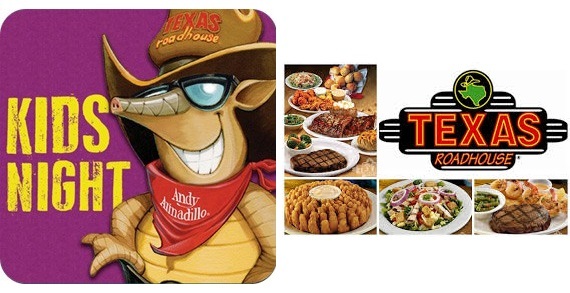 Texas Roadhouse is a family-friendly, lively chain steakhouse serving American fare with a Southwestern spin amid Texas- themed decor. Offering hand-cut steaks, fresh-baked bread, scratch made salad dressings and sides, ice cold beer, legendary margaritas and fall-off-the-bone ribs. Mondays : Kids' Night, bring the kids and enjoy crafts, Andy, Sundae bar or specialty themed nights* Activities subject to change. Sign up for VIP and get a FREE appetizer on your birthday! Click the link to the website to sign up!